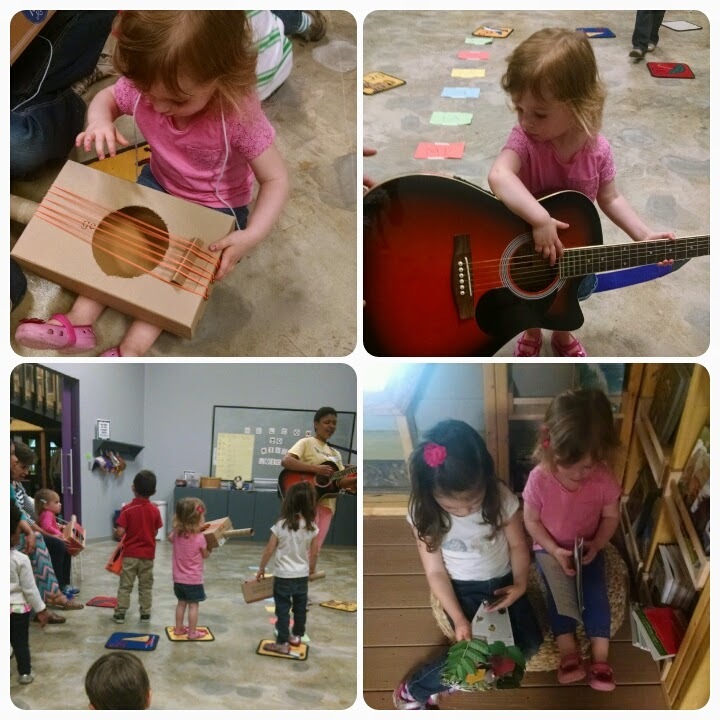 Fun at KidZu in Chapel Hill...making guitars in music class, learning about the major scale, and reading books in the tree house. Artsy adventures at Bull City Craft. 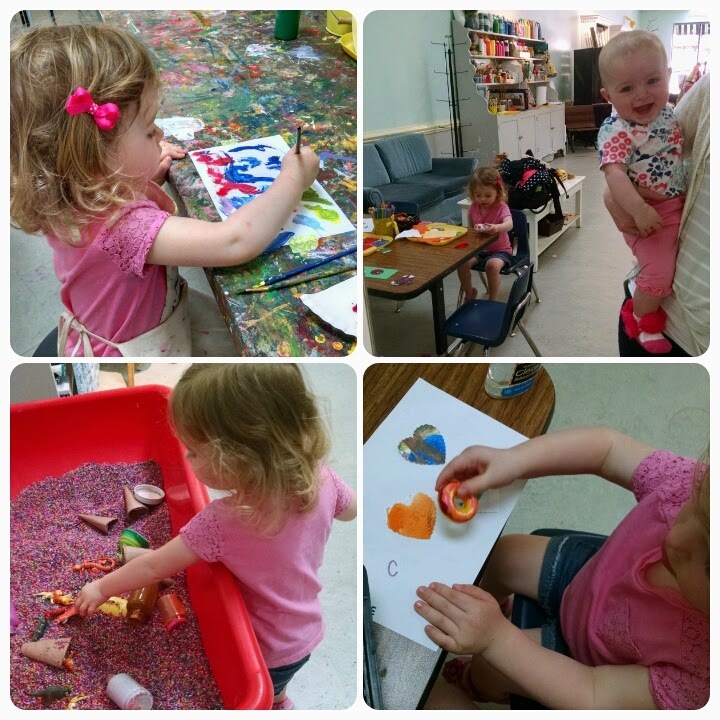 Painting, playing in the rainbow rice table, and coloring with homemade crayons. Oh and smiling. Emily Kate is a smiler. And apparently not a sleeper, but I suppose we all need a good flaw now and then to keep things grounded. 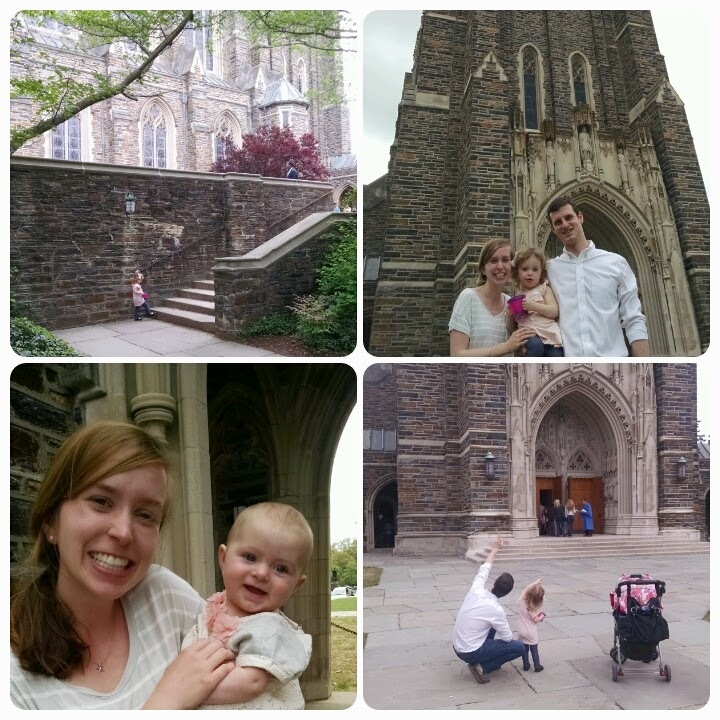 Introducing the girls to the site of our wedding and therefore such sweet memories, Duke Chapel. Caroline absolutely loved it. Emily Kate just smiled. (and didn't sleep. 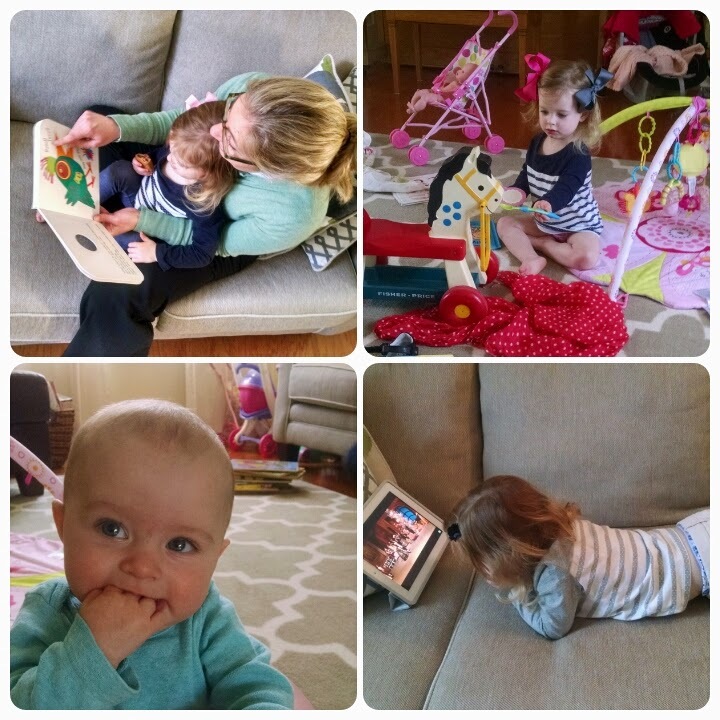 At least she's consistent). 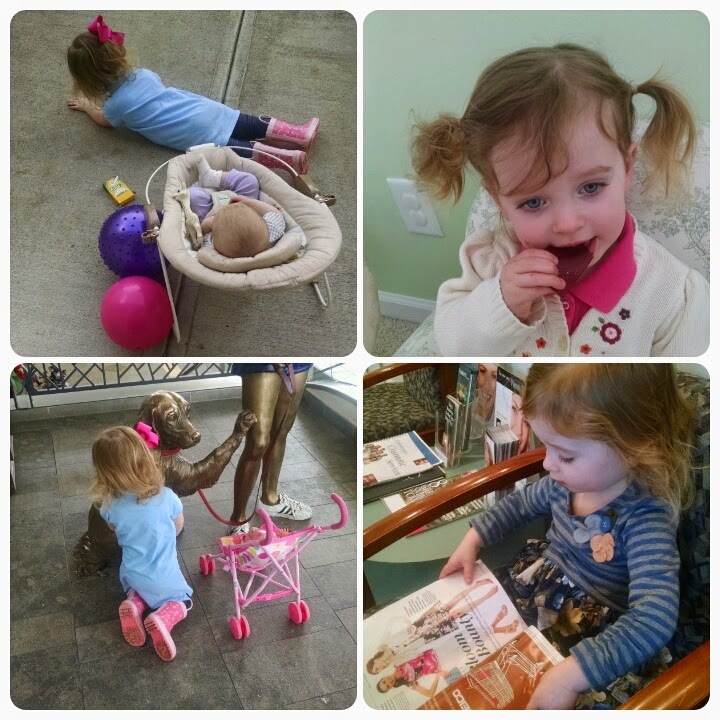 Playing on our back patio, eating "candy" aka fruit leathers, hugging the dog statues at the mall (and picking up lots of lovely germs while we're at it) and pretending to read magazines at the dentists office.